Spain and Barcelona legend Andres Iniesta has opened up on his experience at the 2018 World Cup in Russia, admitting he doesn't look back on it fondly. Iniesta was one of the key members of Spain's 2010 World Cup winning squad, he mesmerised opposing defences with his range of passing and movement and went on to score the winner in the final against the Netherlands. Despite his fond memories of that particular tournament, he doesn't appear feel the same way about his participation in the 2018 World Cup. Speaking to Marca, Iniesta reflected on his experience at his final international tournament for Spain. ​"I don't have a good memory of the World Cup in Russia. I didn't understand the decision to leave me on the bench or [Fernando] Hierro's reasons for doing so. I was upset, I didn't care what he said." 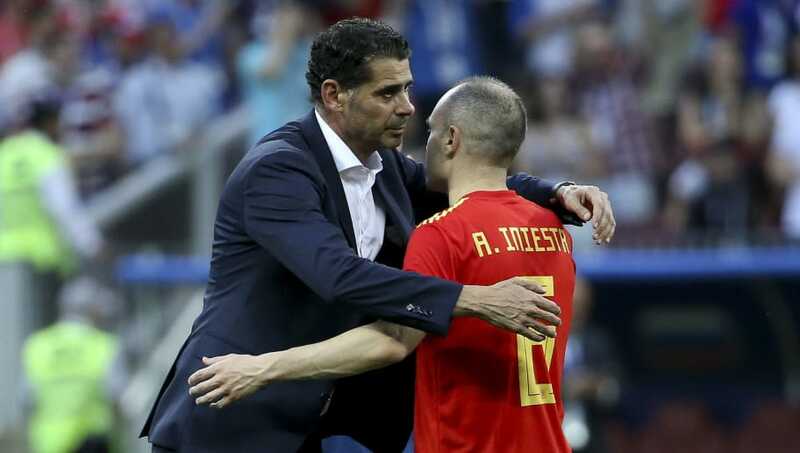 Hierro was a late replacement for Julen Lopetegui on the eve of the World Cup after it was announced that the former Under-21 manager would be joining Real Madrid after the tournament, however the drama surrounding Hierro's appointment would eventually be telling for Spain as they crashed out in the quarter finals to Russia. Iniesta, who has now retired from international football, also spoke about his battle with depression when playing for Barcelona. "I came back after winning the treble with Barcelona and all that I wanted to do was go home at night, take a pill and sleep. When Mourinho was coach [of Madrid], that was the point when the rivalry was at its peak. Anyone who doesn't think that his presence was a key component in that is going beyond radicalism," the Spaniard insisted.